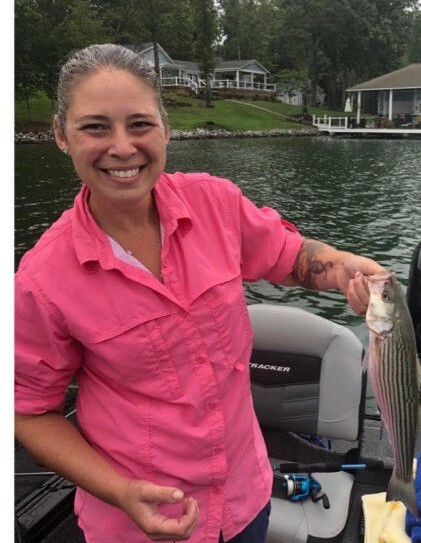 Bethany Lynn (Handwerk) Petrich, 35, of Auburn passed away unexpectedly Monday, November 12, 2018. Born in Palmerton, PA on November 22, 1982, she was the daughter of Don and Gail (Loch) Handwerk. Bethany was a graduate from Joseph F. McCloskey School of Nursing, Pottsville earning her RN Degree. She later attained her BSN from Walden University. She was employed Reading Hospital and previously employed by Pottsville Hospital. Bethany loved to hunt and fish. She also enjoyed music and played the trumpet and guitar. Bethany enjoyed spending time with her son, Ryan, he was her best buddy. She married her wife, the love of her life on May 27, 2014, Jennifer Joy Petrich. In addition to her wife and parents she was survived by her son, Ryan Daub, Auburn; sisters, LeAnn Motz and her husband Christopher, Heather Reifsnyder and her husband Corey, niece Gabriella, nephews, Casey and Travis, and aunts and uncles. A Celebration of Life will be held from 2PM-4PM on Monday, November 19, 2018 at Schlitzer Allen Pugh Funeral Home, 515 W. Market St., Pottsville. Family and friends will be welcomed to share their remembrance at 4PM. Please visit SchlitzerAllenPugh.com to leave a condolence for the family.